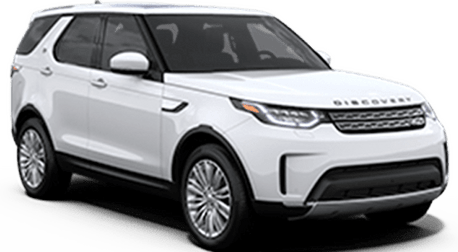 The 2018 Land Rover Discovery is the perfect SUV for drivers near San Jose, CA on the search for style, luxury and performance. The three-row luxury SUV has been refined for 2018, now featuring a lighter and more aerodynamic body design, new high-tech features and so much more! The new Discovery offers seating for seven passengers, 88.3 cubic feet of maximum interior cargo capacity (with the second row and third row folded down - 43.5 cubic feet with the second row in use). Keep reading to learn more about the new 2018 Land Rover Discovery at Land Rover of Stevens Creek! The 2018 Land Rover Discovery is available in three trim levels: SE, HSE and HSE Luxury. Each trim level is fitted with a unique set of standard and available features, and each trim level also offers the choice between a regular gasoline- or diesel-powered engine. Choose between a 340-hp, 3.0-liter LR-V6 Supercharged engine or a 3.0-liter LR-TD6 Diesel-powered engine that offers 443 pound-feet of torque! You can't go wrong with either of these engines! When properly equipped the new Discovery features a maximum towing capacity of 8,201 pounds! It isn't simply power that the new Land Rover Discovery offers! When combined with the host of available high-tech features, the Discovery truly becomes capable and versatile! With features like Hill Descent Control, Terrain Response® 2 and Advanced Tow Assist, you'll have greater control over the performance and power of your Discovery model! Other high-tech features include Emergency Brake Assist, Adaptive Cruise Control with Queue Assist, Blind Spot Assist with Reverse Traffic Detection, Autonomous Emergency Braking and many more! 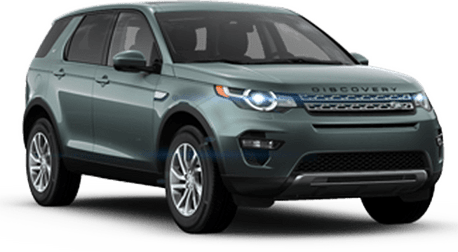 Some of the best standard features offered on all Discovery models include a fixed panoramic roof, a 250-watt 10-speaker sound system, rain-sensing windshield wipers, 19-inch alloy wheels, a navigation system, a Wi-Fi Hotspot and so many more! Schedule a test drive of the 2018 Land Rover Discovery at Land Rover of Stevens Creek near San Jose, CA! Interested in a Land Rover Discovery?